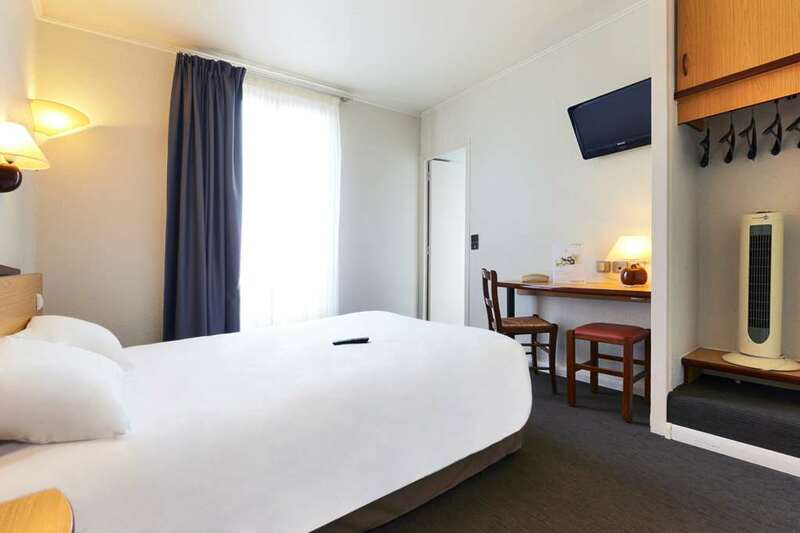 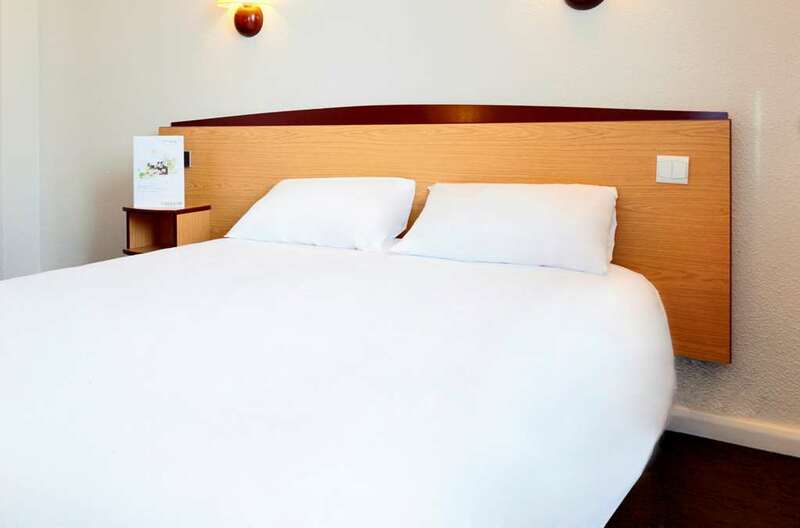 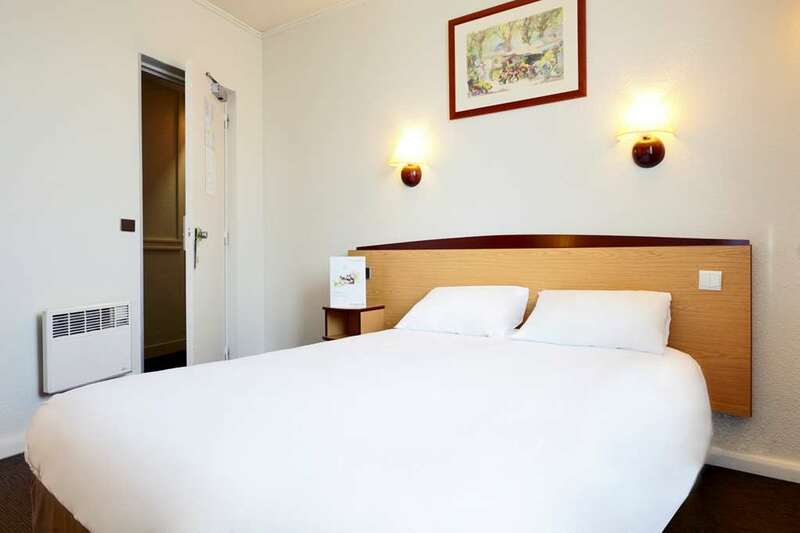 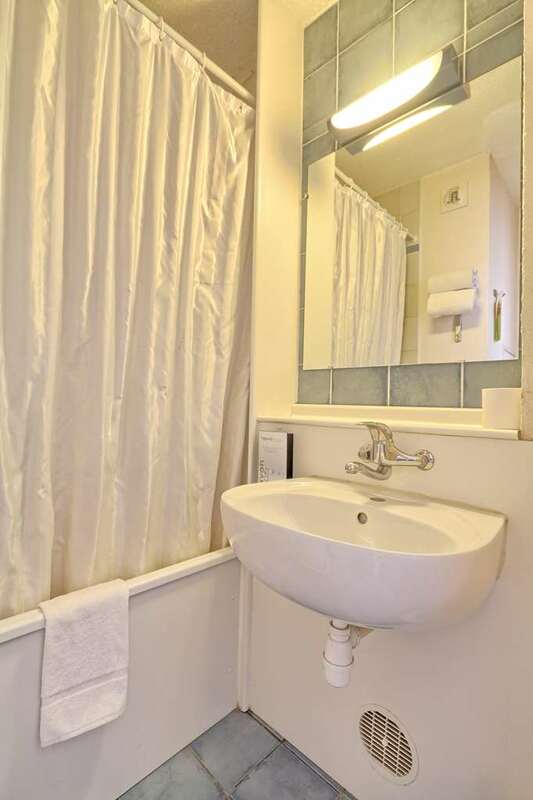 Ideally located at the heart of Boulogne, the Campanile Paris Ouest - Boulogne Bed and Breakfast hotel offers quick and direct access to Paris' main tourist attractions. Situated at the heart of the city centre, 50 metres from the Line 9 Marcel Sembat metro station, it is easy to get to the Parc des Princes and Roland Garros stadia, and the race course in Longchamp. 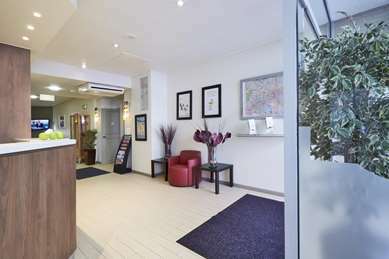 The reception is open 24 hours a day and offers free newspapers and magazines. 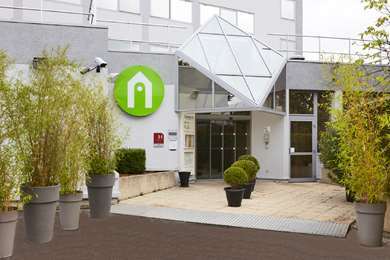 The 2-star hotel in Boulogne has 56 rooms, all fitted with free unlimited Wi-Fi. 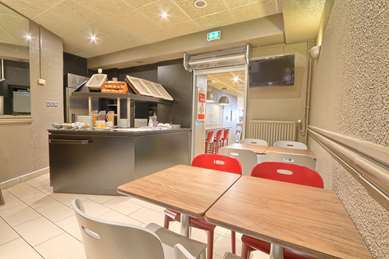 A self-service buffet breakfast is avalable every morning, serving, bread, pastries, fruit salad etc. 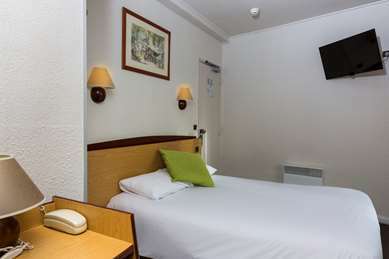 For our business customers, there is an area ideal for working available in every room with free internet access and a telephone line for you to use. 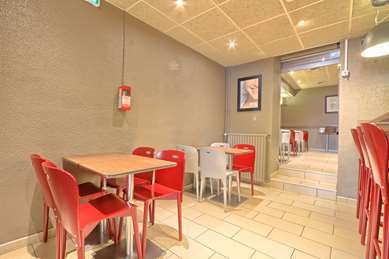 Breakfast is served from 6.30am on weekdays. 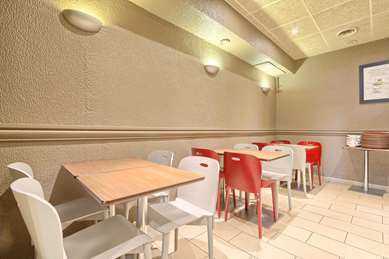 For our leisure customers, breakfasts are served until 10am at weekends and on public holidays and later departures can be arranged under certain conditions. 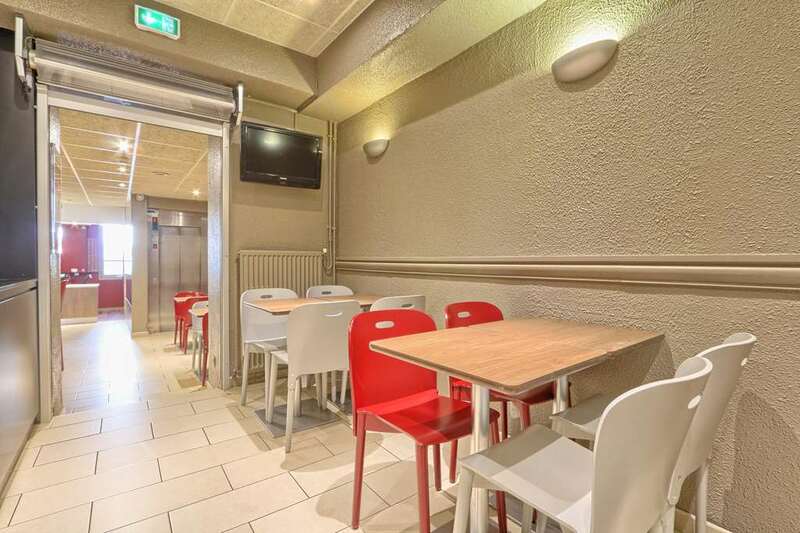 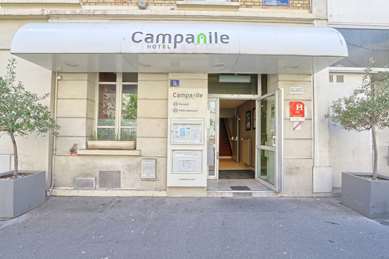 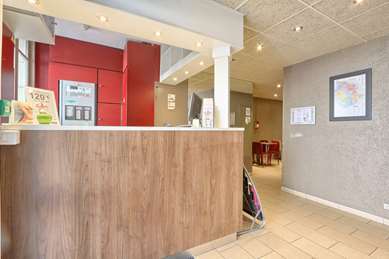 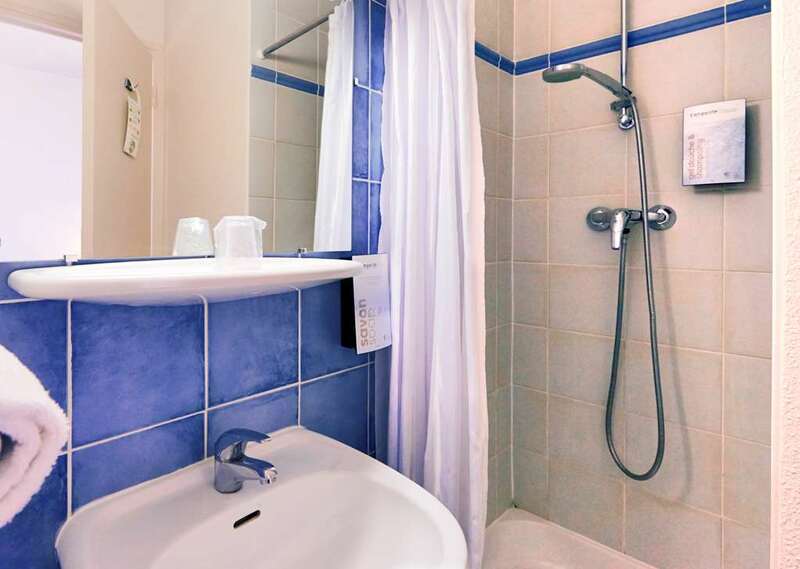 The Campanile B&B hotel is situated in the centre of Boulogne, 50 metres from the Marcel Sembat métro station, from where you can travel to the centre of Paris in 20 minutes. The hotel is situated near to the famous Parc des Princes and Roland Garros stadia, which is easily reachable on foot, by métro or by bus. 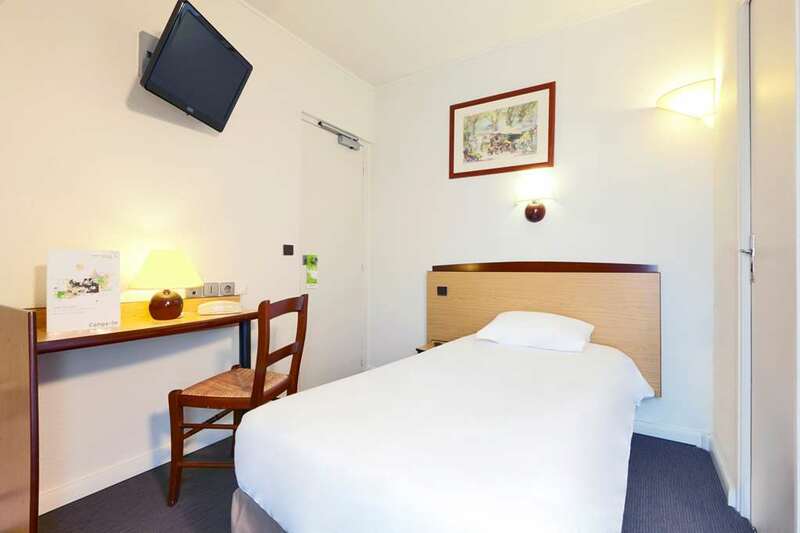 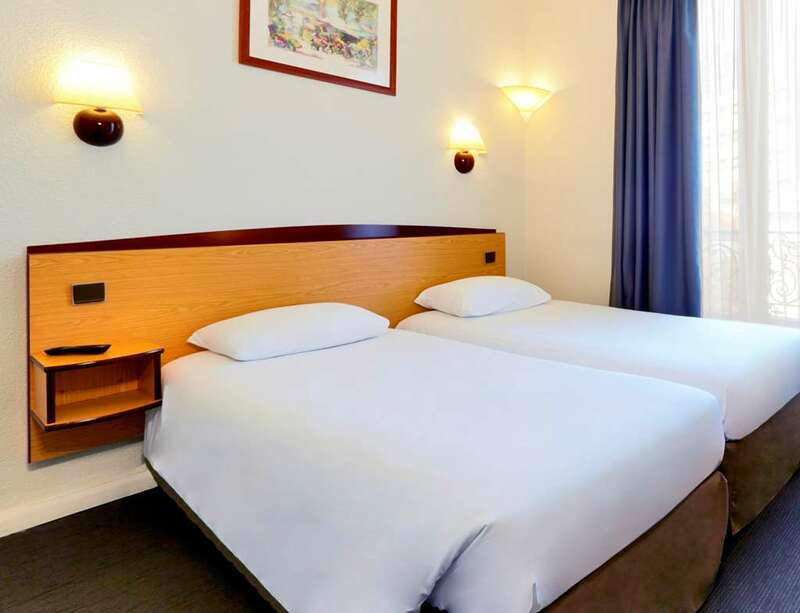 Easily accessible from the A13 motorway, the hotel is less than 5 kilometres from the Porte de Versailles and our rooms are easily accessible. 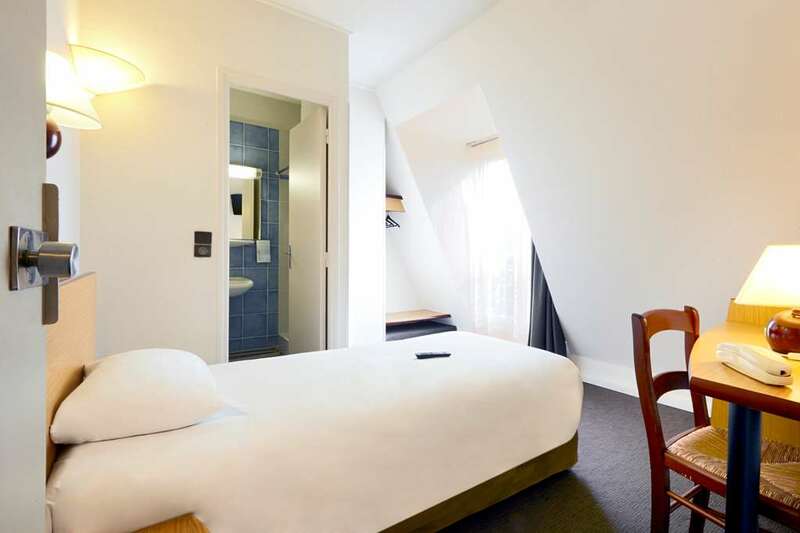 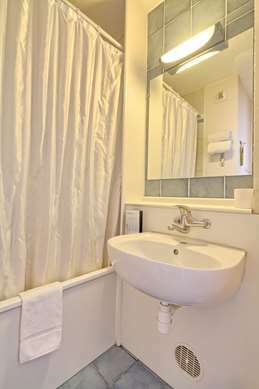 Are you looking for a hotel accommodation in Paris on the Campanile website? 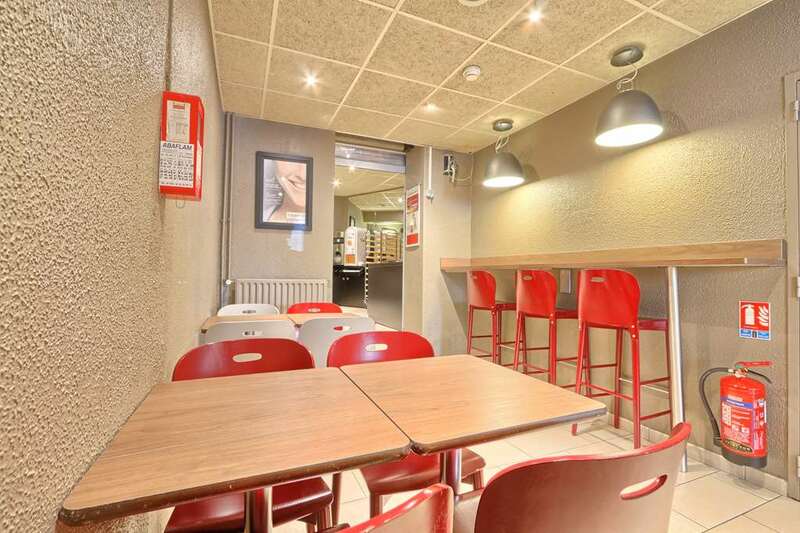 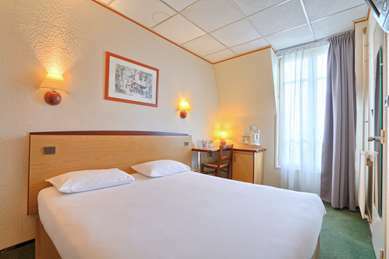 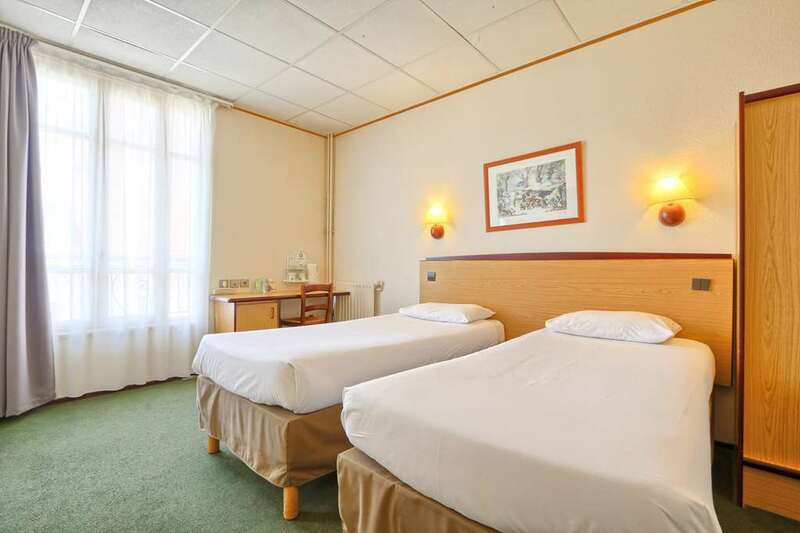 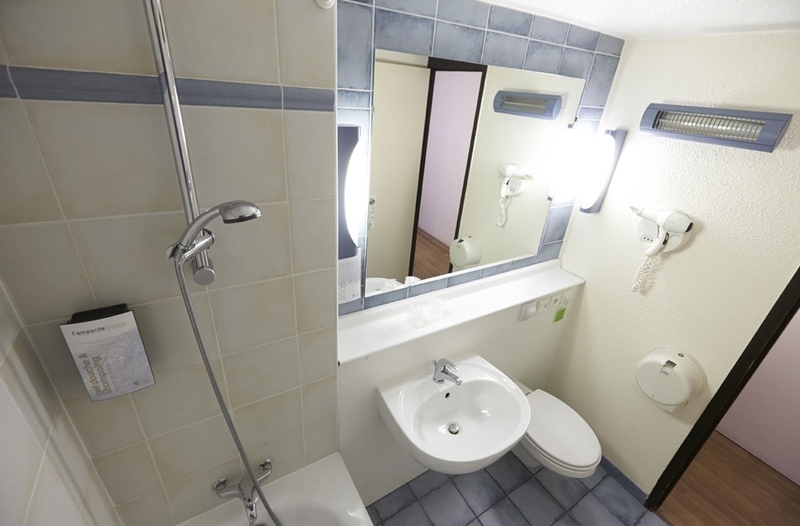 Finding a cheap hotel in Lyon is easy and we recommend the Campanile hotel Paris Ouest Boulogne. 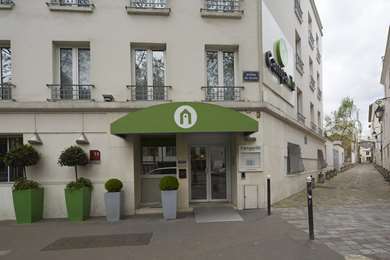 The hotel in Paris is in an ideal location. 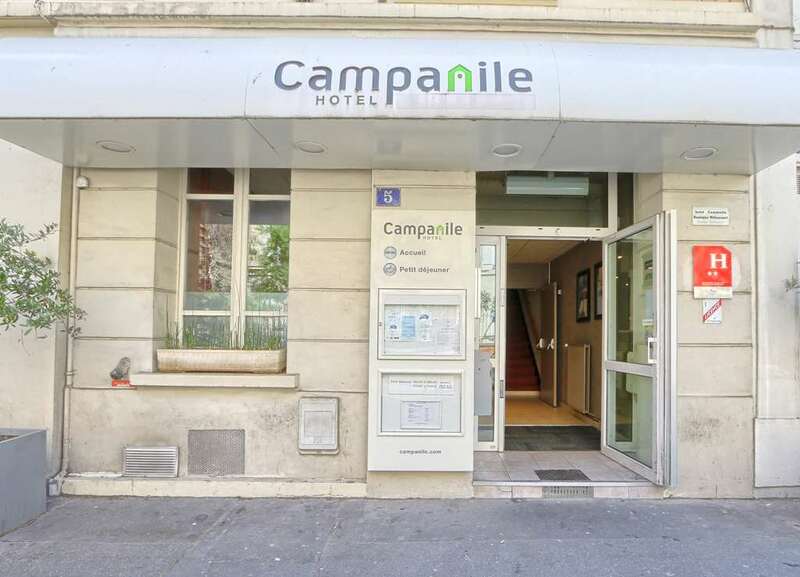 Book your 2-star hotel with Campanile and you'll be 15 minutes from the Parc des Princes in Paris and 5 km from the Porte de Versailles . Book online or from your smartphone using HotelForYou app for iPhone, BlackBerry and Android. Find your nearest hotel, learn about its facilities and check the availability of our 3-star rooms. 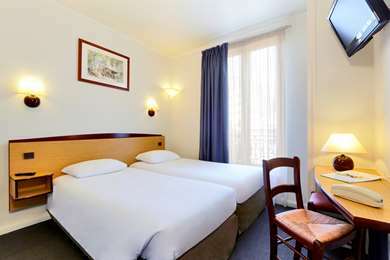 We hope to see you very soon in our 3-star hotel in Paris! 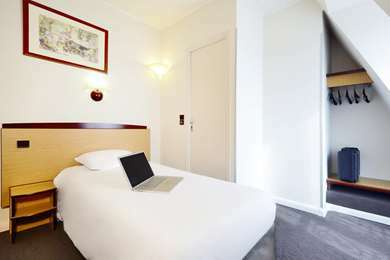 2-star hotel room with free Wifi. 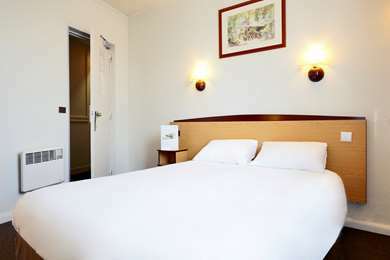 The hotel has 56 rooms available for reservation. 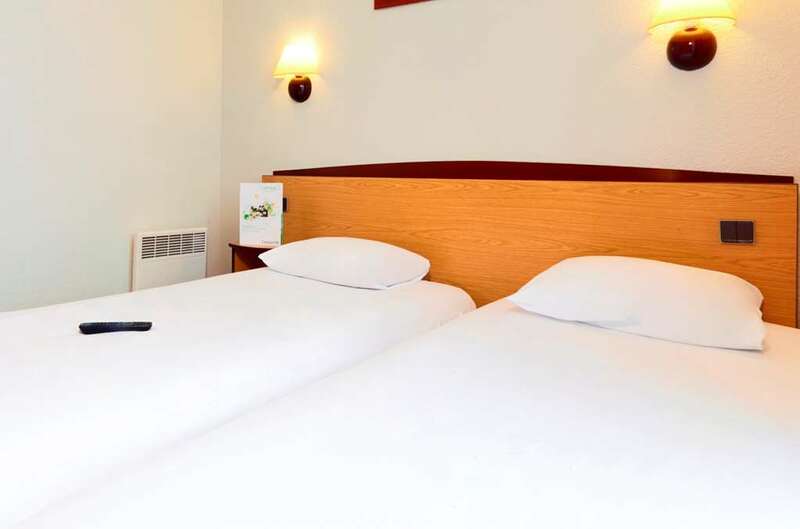 Choose between our single, double or twin rooms, (with two separate beds). 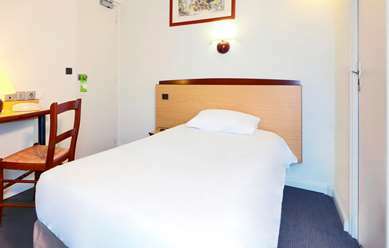 A spare bed can also be put up in your room if necessary. 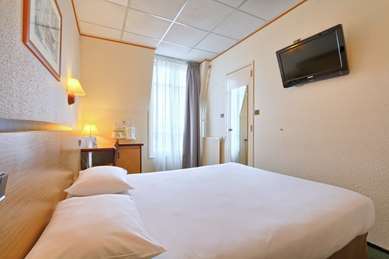 All our rooms are fitted with a flat-screen TV with national channels. 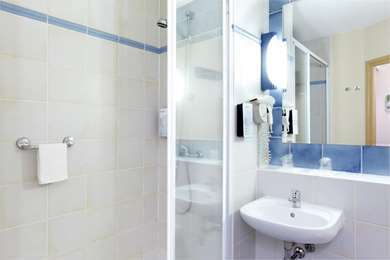 A work area is available in each of the rooms with free Wifi access and a direct telephone line. 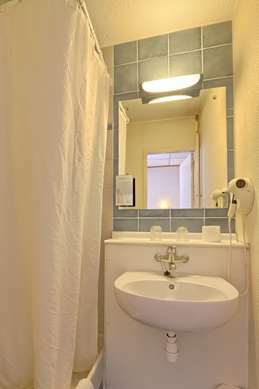 A hair dryer is fitted into each of our bathrooms, where you can choose to enjoy a shower or a bath. Complementary tea and coffee is available, whether you choose to have snack or a light breakfast in your own room. 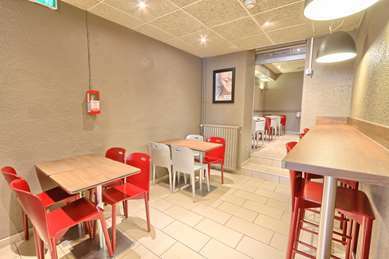 Our restaurant has 28 places for breakfast, served daily between 6.30am and 9am on weekdays and between 7am and 10am at weekends. You can create your ideal breakfast as you like it with fruit juice, hot drinks, cereals, pastries and meats. 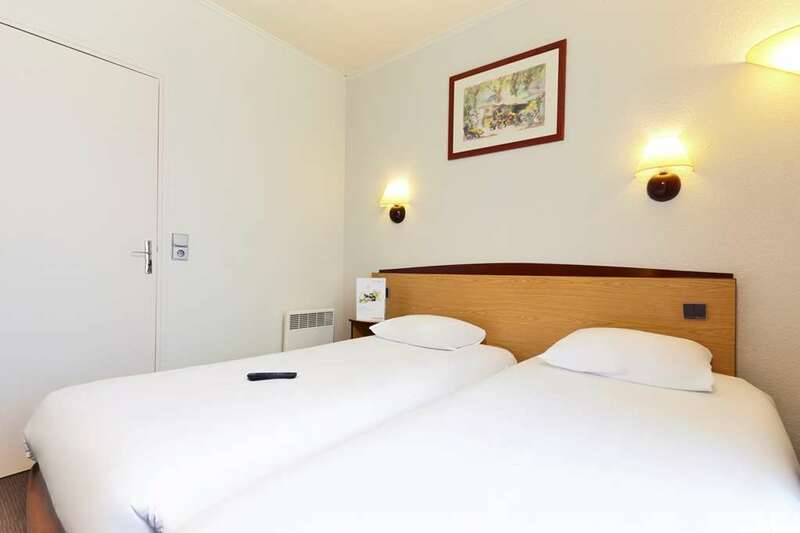 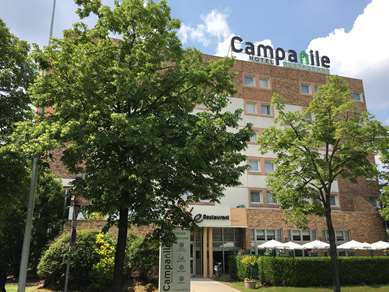 The Campanile hotel in Paris Ouest is ideally situated at the heart of Boulogne, where there is a huge variety of restaurants for lunch and evening meal. 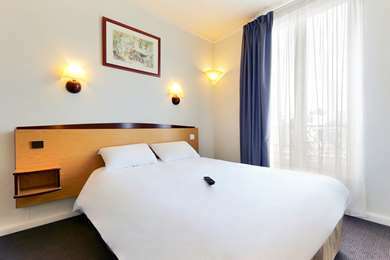 From Paris: "peripherique" (outer ring-road), exit Porte de St-Cloud, then take the D910 towards Pont de Sevres. 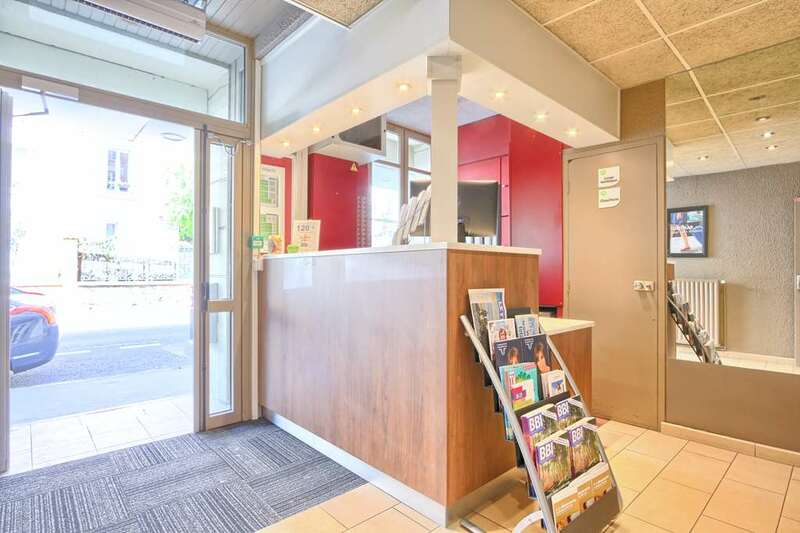 At Place Marcel Sembat take Boulevard Jean-Jaures. From A13 motorway: exit Boulogne, pass under the Pont de St-Cloud. 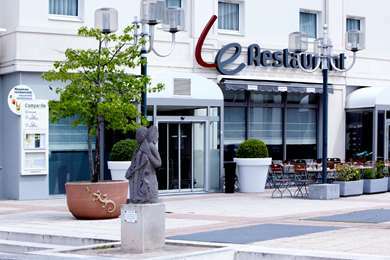 At the Rhin & Danube traffic circle take the D50 to Place Marcel-Sembat. 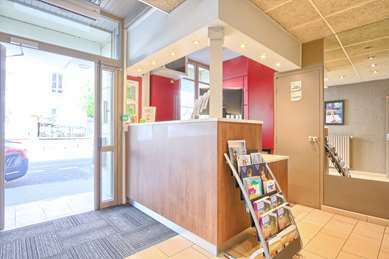 From Pont de Sevres: take the D910 towards Porte de St-Cloud until Place Marcel-Sembat.